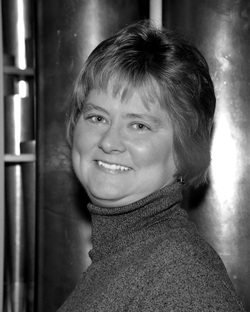 ROSEANN PENNER KAUFMAN currently serves as Director of Music for Rainbow Mennonite Church in Kansas City, Kansas, and served as the organ instructor at Bethel College in North Newton, Kansas from 2002-2013. She is an active member of the American Guild of Organists, serving as Dean of the Greater Kansas City Chapter and currently as Program Chair for the 2018 National Convention. She completed the Doctor of Musical Arts degree at the University of Kansas and holds degrees from the University of Iowa and Bethel College. Her teachers include James Higdon, Michael Bauer, Delbert Disselhorst, Delores Bruch, and Shirley King. Her interest in the “mechanics” of organ building led to a job with Quimby Pipe Organs, and she has served as an organ consultant for various churches and schools. Roseann lives in Prairie Village with her husband Mitch and two children, Daniel (17) and Marina (13).